We decided to put our Sonic Mini® facial cleansing brush to the test and find out whether the beautyheaven members rate our facial cleansing brush. See how we scored. 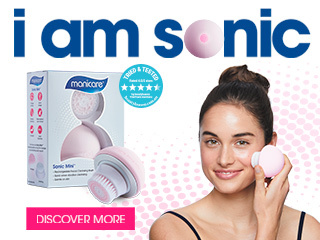 of members found Manicare Sonic Mini® Facial Cleansing Brush left their skin feeling thoroughly clean. of members found their skin felt much cleaner after using the device compared to washing their face using their hands alone. of members found Manicare Sonic Mini® Facial Cleansing Brush left their skin feeling softer and smoother. of members would recommend Manicare Sonic Mini® Facial Cleansing Brush to their family and friends. What did the trial team members say? Most triallers found that Manicare Sonic Mini® Facial Cleansing Brush effectively cleansed their skin. The majority of triallers also found that the device left their skin feeling soft and smooth after use. Most triallers found that the product was easy to use and appreciated the compact size. The majority of triallers felt that the device was gentle and would be suitable for most skin types.